What is Perfect Drums Player? Perfect Drums Player is a FREE virtual instrument plug-in, featuring an intelligent sampling engine, that enables anyone to load and use unique multi-sampled instruments, created in the full version of Perfect Drums. 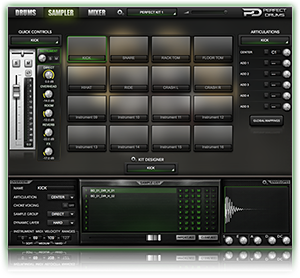 Perfect Drums Player gives you access to multi-sampled drum instruments incorporating: full control over different articulations, microphone groups, dynamic layers and every single audio sample in a quick and easy way. Perfect Drums Player also features a mixer with incredible flexibility. It gives the user comprehensive metering, instrument level, pan & phase controls, parallel processing groups, fully configurable mix routings, including internal auxiliary busses and multiple outputs. 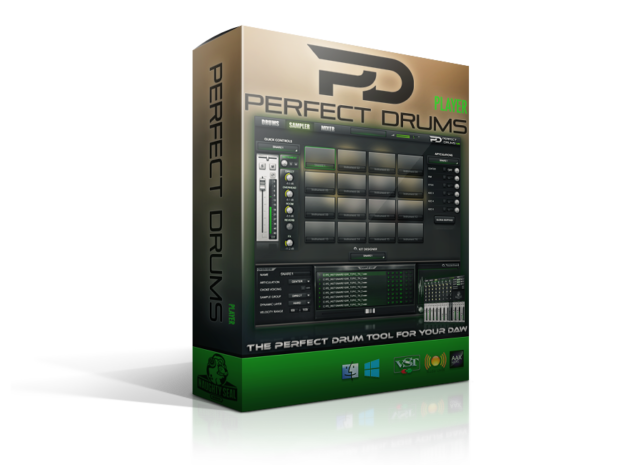 Perfect Drums is able to carry out any mixing task, keeping your drums in a perfect balance. We thought it would be great if you could play with some instruments in format for the Perfect Drums Player so you can get yourself familiar with it. And that is why we decided to giveaway one of the Perfect Drums factory library instruments in a portable format for PD Player. 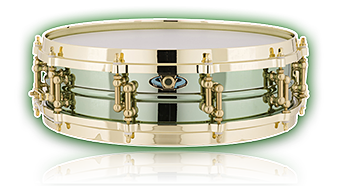 This one is the gorgeous Ludwig Carl Palmer Venus signature snare drum. We provide you with both the .pdpi format for PD Player and the .tci format for use with Slate Digital Trigger 2 EX/Platinum software. Feel free to choose the one you wish. What about a full kit demo? Additionally, we have also created the Perfect Drums DEMO kit for you to try in the PD Player so you could get closer to the Perfect Drums stock library. It contains of 8 instruments taken from one of the factory preset kits. Those include: kick, snare, rack tom, floor tom, hi-hat, ride and two crash cymbals. Please note that since this is a DEMO kit, it has some limitation: the number of round robins is limited to 2 per dynamic (full version has 8 round robins per dynamic layer). Enjoy!